Many employers establish pension plans for their employees to help support them when they are no longer working. This includes retirement plans, but pensions can exist for disability as well. Although there are many types of pension, every worker who has received a pension plan is entitled to her benefits. If you have been denied your pension, you can seek the help of a lawyer to reclaim it. Pensions typically take one of two forms: defined benefit and defined contribution. Defined contribution plans usually take the form of an employee and his employer both contributing to the employee’s pension fund. Some of this fund may be invested. Defined benefit plans guarantee a particular payment when the employee becomes eligible, based on a formula that considers factors like their experience. No matter what form your pension takes, federal law makes it illegal for your employer to deny you the pension you were promised. You have a right to your pension funds. No employer should be allowed to put your future – and the future of your coworkers – at risk through dishonesty. If you believe you or someone close to you have been unfairly denied access to a pension plan that should have been guaranteed to them, you may be able to seek damages. A compassionate Indianapolis disability and pension lawyer can help you put together a case and recover your heard-earned pension. 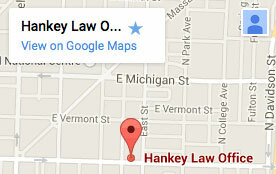 To discuss your case with a lawyer, contact the experienced Indianapolis social security lawyers of the Hankey Law Office today at 317-634-8565.